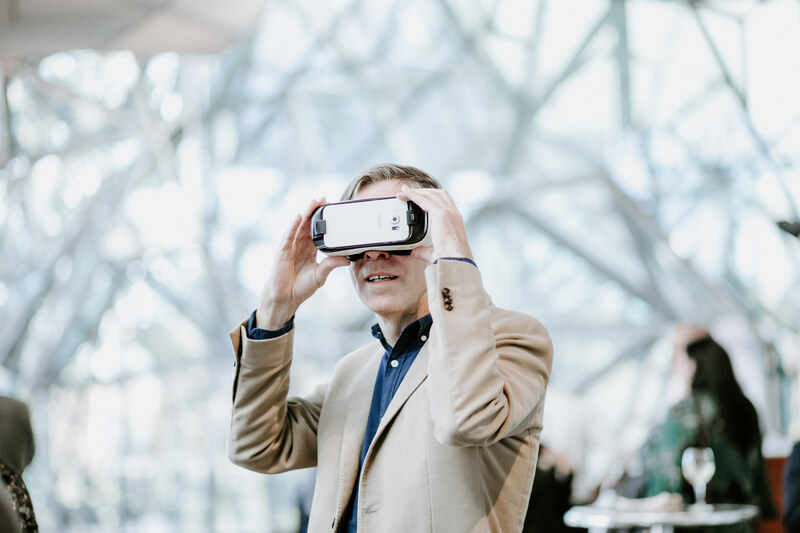 Today at Fed Square the Land Art Generator awarded a local Melbourne team first prize in their fifth biennial design competition. Sponsored by the State of Victoria as part of their Renewable Energy Action Plan, the competition calls for large-scale works of public art that also produce clean energy. 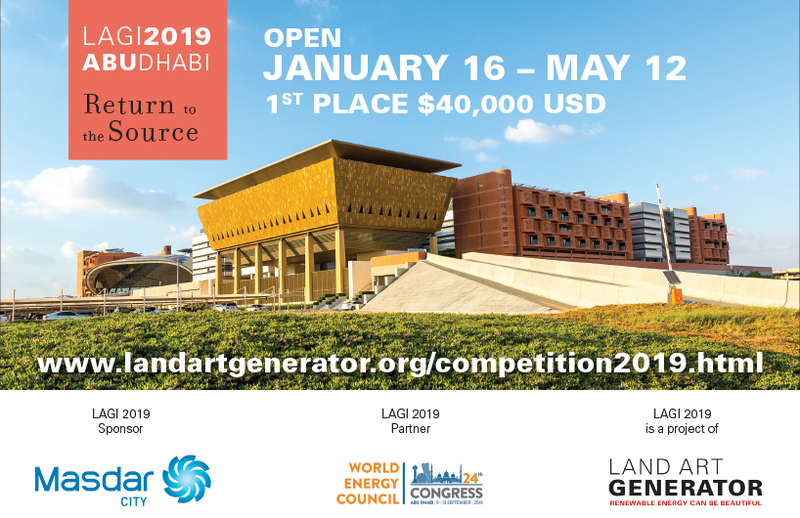 LAGI competitions, which are held in cities around the world, present a positive vision of a sustainable future and increase the popularity of a swift transition to renewable and carbon-free forms of energy. 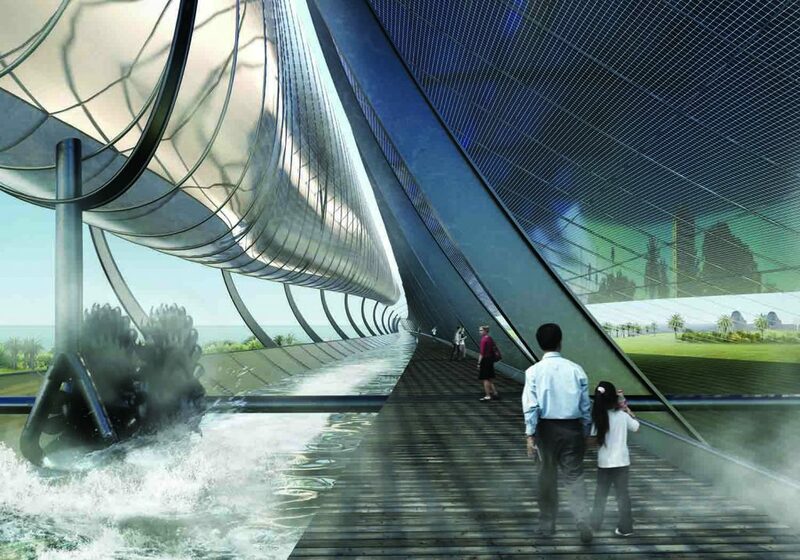 The first-place winning design is a perfect example of this new socially-relevant approach to clean energy infrastructure. 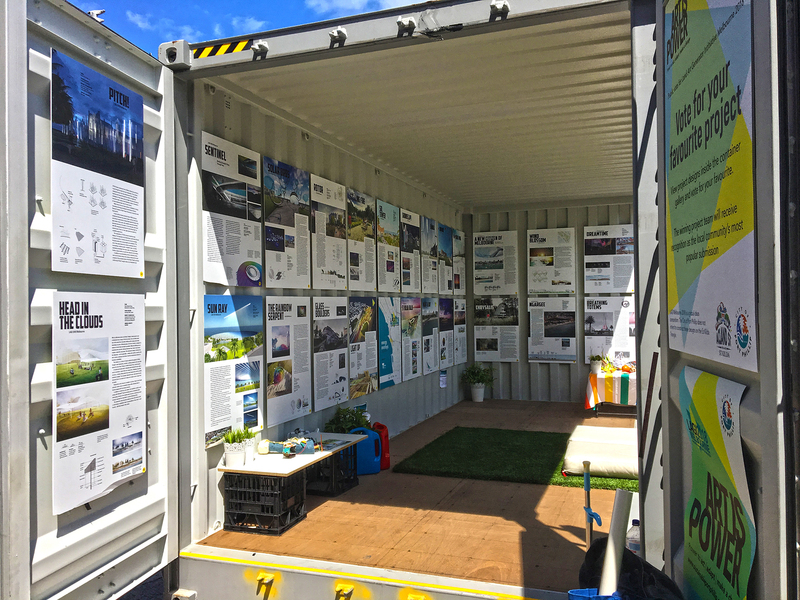 NH Architecture’sLight Up incorporates solar, wind, and microbial fuel cell technologies to produce 2,220 MWh of clean energy annually for St Kilda in the City of Port Phillip, or enough to power nearly 500 Australian homes. 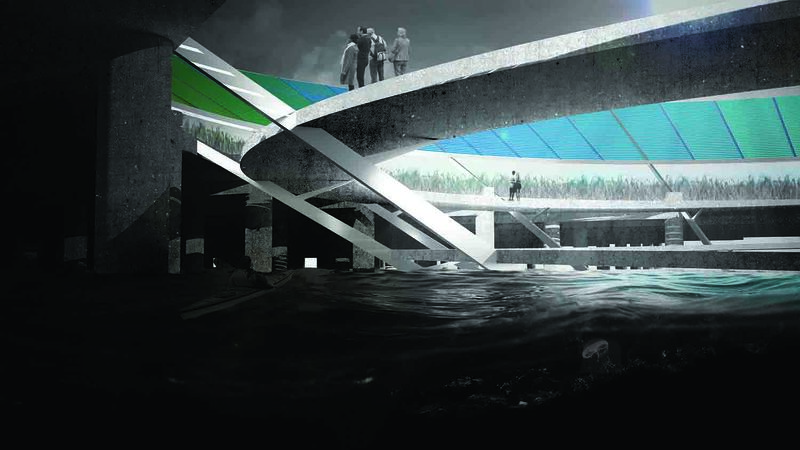 Second place went to Seattle’s Olson Kundig for Night & Day, a Hydro-Solar Generator that combines solar energy with a hydro battery to produce 1,000 MWh annually for St Kilda in the City of Port Phillip. Their land art generator artwork is capable of operating 24 hours a day. That two such highly-acclaimed firms—selected by an anonymous jury—are this year’s winners suggests to LAGI co-founders Elizabeth Monoian and Robert Ferry that the tide is shifting within the established design community to support a strongly integrated approach to the design of a post-carbon future, where the lines are blurring between the old silos of art, design, applied sciences, architecture, landscape architecture, and civil engineering. “LAGI 2018 is a window onto a world that has moved beyond fossil fuels—a world that celebrates living in harmony with nature by creating engaging public places that integrate renewable energy and energy storage artfully within the urban landscape,” they said. Third place mention goes to Swings by Lu Chao 陆超 and Weng Shenxia 翁申霞. 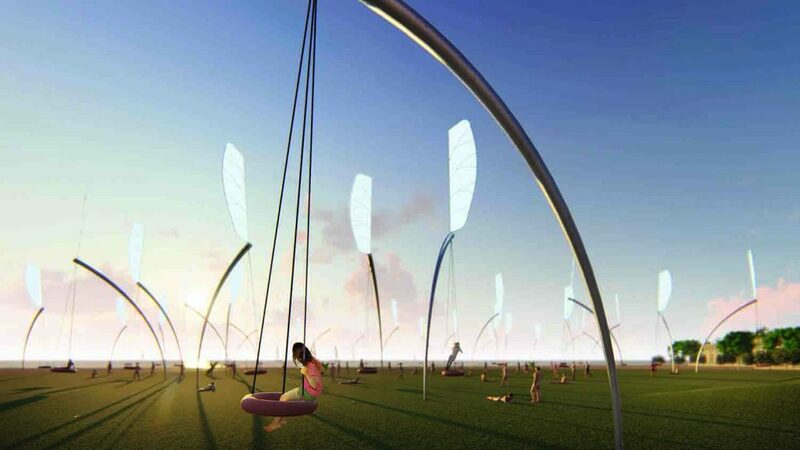 Using thin-film photovoltaic and kinetic wind harvesting technologies, the design is capable of powering up to 240 homes. Thanks to the State’s support, the Light Up team will receive $16,000 in prize money, and second place will receive $5,000. Another 23 teams were shortlisted. 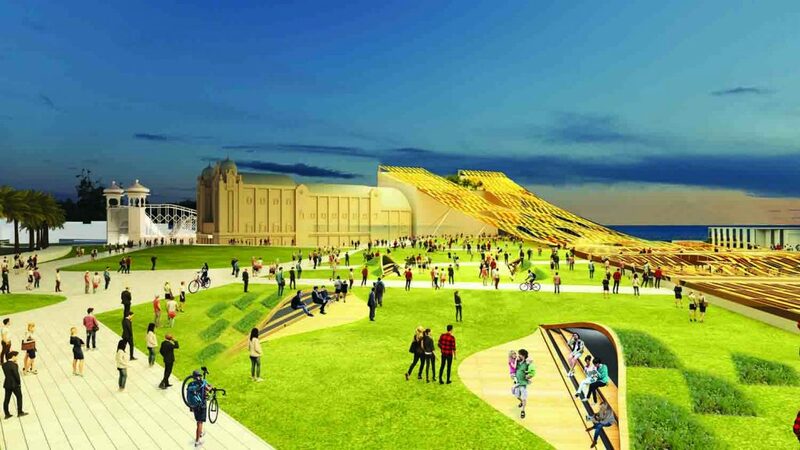 While there is no guarantee that an outcome of LAGI 2018 will be constructed at St Kilda Triangle, public support for the project may lead to its incorporation as a part of the larger co-design process currently underway for the site. Energy Overlays, the LAGI 2018 publication released this October 2018 by Hirmer Publishers, features the top 50 submissions to the competition along with essays on the renewable energy transition. What better use than a community-infused power plant environment, for a much-politicised urban public space. The site has been the subject of various bureaucratic bungles, from conflicts of interests to a official damning repot by a government instrumentality. The denizens of Port Phillip have, to date, been led by a series of local governments to an endless tableau of bureaucratic charade. It is also a reflection of the population’s lack of understanding of urban sustainability. The fault lies on both spectrum of the constituents. But now is the time for a sustainable closure. The current CoPP council must act now or resign.